Design Security has considerable experience in dealing with commercial intruder alarms ranging from simple single systems to large multi-area multi-user systems. From a single platform we set up a series of independent systems to protect your campus or facility so that unoccupied areas remain secure. 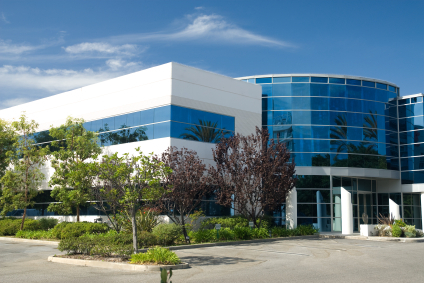 Schools and large multi-tenant office buildings are a particular specialty because of the management procedures that need to be combined with the systems. Our 24hr monitoring centre Design Security Control and our key holding response team will respond efficiently keeping your people and premises secure. Design Security has considerable experience in project managing and installing access control systems. We have installed and can demonstrate customer sites ranging from single door to multiple door and multi-site systems. We can provide full seamless integration with intruder alarms and CCTV and provide a one card building solution. Design Security has long term relationships for support with manufacturers ACT and ASSA Abloy and many others and maintains the Dublin offices for a number of global companies using enterprise wide systems. New developments in IP CCTV have brought megapixel technology onto networks providing very high quality images which can be integrated with access control, alarms and other event driven systems. Design Security installs separate IP CCTV systems or can work with your IT department to produce a secure system that does not interfere with the performance of your network. Traditional security principles still apply to the selection and management of systems whether using digital or analogue technology, or a combination of both. Particularly with outdoor systems and night vision the old rules still apply and experience is essential. Our night vision technology is excellent and assists sharp images 24/7. Safety and general management of your facility can also be greatly enhanced by CCTV. Exposure to liability can be held in check and facility and building managers are provided with more eyes and ears to keep all aspects of safety and security under control. Design Security Control CCTV monitoring can take over when your facility is closed. Our CCTV virtual patrols can keep a routine check on key areas and summon response or warn off intruders via on site loud speakers. Alarm activations or irregular access control activity can be verified by our CCTV monitoring and appropriate action taken. Design Security has considerable experience in integrating commercial intruder alarms, access control, CCTV and fire alarms. We take an holistic approach to the security and fire safety needs of your organisation. Our design facility allows us to survey and map out and optimise your systems and procedures. We can provide any one system and coordinate without competing with your existing provider for the other systems or we can provide a complete solution. If there is a gap in your defence we will identify it and work with you and your other providers to bridge it.